Scout.com’s Corey Bender was down at Tampa (Fla.) Plant High School recently, and gives updates on two Syracuse commits and another prospect. 2017 four-star receiver Juwan Burgess has two front runners right now: Syracuse and Clemson. Burgess’ other schools of interest include Clemson, Florida, Va. Tech, FSU and Miami. Bender also speaks with SU’s two commits, starting with Scoop Bradshaw. Bradshaw sounds off on his senior season, his recruitment, and also talks about taking his official visit to Syracuse. Scout now has Bradshaw as a 3-star prospect, and as the 101st ranked safety in his class. As for QB commit Rex Culpepper, he is making rehabbing his top focus after he tore his ACL in August. 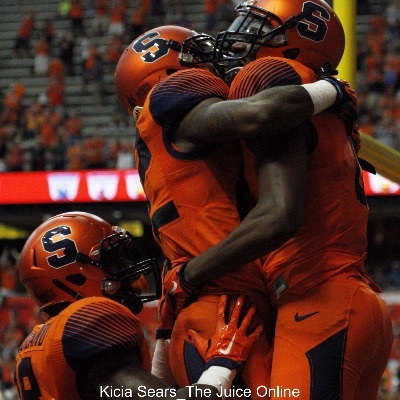 “I have a really good relationship with coach (Tim) Lester and coach (Scott) Shafer,” Culpepper said. He is the 66th overall quarterback recruit in the 2016 class. 2016 defensive back Eric Burrell enjoyed his visit to Nebraska over the weekend. Scout.com’s Josh Harvey writes that Burrell will visit Wisconsin in November and other schools such as Rutgers, Duke and Boston College may get official visits as well. Earlier in July, Burrell said he would “definitely” take an official to Syracuse. 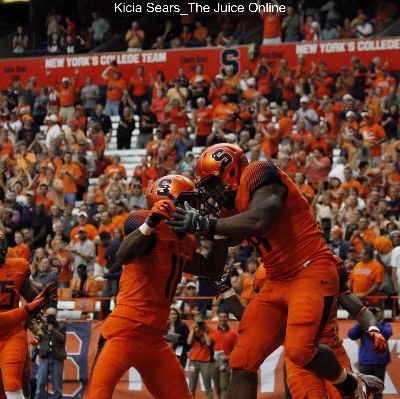 Several Syracuse recruits enjoyed auspicious weekends. 2017 quarterback Jack Coan completed 15 of 27 passes for 172 yards in Sayville’s 33-19 win over Westhampton. 2016 commit Moe Neal’s Forestview game has been suspended until today with the game tied at 14. Neal has 15 yards on 10 carries so far, but also has a nifty 34-yard touchdown reception on a screen pass. 2016 running back Tyler Thompson returned from injury to rush for 187 yards and three touchdowns. Moving to basketball, Syracuse coaches will be in Philadelphia this week to check out 2017 guard recruit Quade Green, writes Syracuse.com’s Mike Waters. Carl Arrigale, Green’s coach at Neumann-Goretti High School says that the Orange will watch Green during a workout. 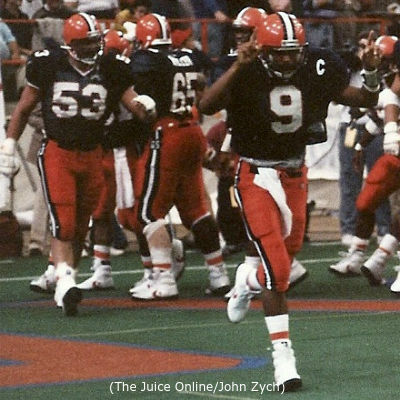 Green hails from the same high school as former SU stars Scoop Jardine and Rick Jackson. An interesting note from SNY.tv’s very own, Adam Zagoria. He writes that Cerruti Brown, organizer of the eight-team semipro basketball league ‘AmeriLeague’ has been targeting various high school basketball prospects in the 2016 class. “The league remains in discussions with former Syracuse commit Moustapha Diagne, who is now expected to enroll at Northwest Florida State after he was unable to qualify for Syracuse,” Zagoria writes. That’s all for today. One final shoutout goes to Coach Mac, who was honored during SU’s win over Wake Forest on Saturday.